“Cancel For Any Reason” (CFAR) coverage is usually an add-on feature (as a paid upgrade) to a trip insurance policy. CFAR ensures that travelers receive a refund of 50-75% of their insured non-refundable and pre-paid trip costs if they choose to cancel their trip for any reason at all vs. the standard covered reasons under regular trip cancellation coverage which covers 100% of those trip costs. Travelers who opt for CFAR will need to insure 100% of their pre-paid and non-refundable trip costs and buy it within a set amount of days from their initial trip payment (usually 21 days or less) in order to be eligible for this optional upgrade. CFAR covers up to 50-75% (depending on provider and plan) of pre-paid and non-refundable expenses and deposits if the trip must be canceled for any reason. Keep in mind that if you cancel for a covered reason under standard trip cancellation coverage, you will be covered for 100% of your insured pre-paid and non-refundable trip costs. Travelers typically opt to use their CFAR coverage if they need to cancel for any incident that may not be covered under the typical trip cancellation clause. 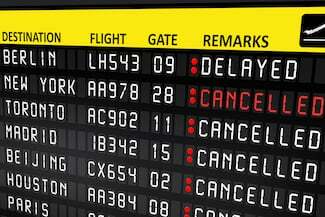 Since CFAR is more extensive, it should not be confused with trip cancellation insurance and should not be passed up, if travelers want to insure against all possible risk of cancelling their trip. Do not make the expensive mistake of assuming that CFAR automatically covers every penny of non-refundable expenses. Different plans cover different percentages. Always read the terms of the policy carefully to find out what percentage is covered. While some may cover 75 percent, other companies may only cover 50 percent. For a long expensive trip with many deposits and prepaid costs, this results in major differences of reimbursement rates. Higher percentages come with higher fees. The peace of mind may be worth it to travelers who have invested a considerable amount of money in their plans. If there is a sizable risk of cancellation for multiple reasons, this coverage may be a wise investment. Travel insurance companies also have per-person limits for CFAR. When quoting and buying on TravelInsurance.com, you’ll be offered CFAR as an optional upgrade if you meet the eligibility requirements around initial trip payment date and per person trip cost. Note that the trip must be canceled within a certain number of days before the planned trip (usually two days) and you typically need to insure 100% of your trip costs. In addition, CFAR is typically only available if you purchase the policy within a set amount of days (1 to 21 depending on the policy) of your initial trip payment date. When buying trip insurance online, print a copy of the terms. Also, take along the insurer’s contact information, the policy ID and a coverage summary.